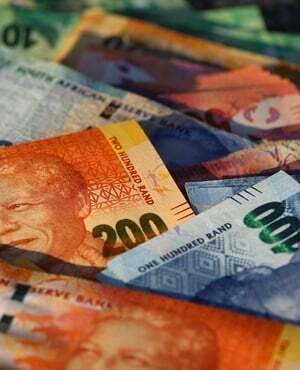 Last year was the second-most difficult in the past five years for salary increases in South Africa, according to a BankservAfrica report released on Wednesday - meaning at the current rate, it would take 180 years to double a salary in real terms. BankservAfrica's Take-home pay Index tracks about 3 million salary earners via about 4 million monthly payments made into the national payments system. The overall data shows that real take-home pay increased by just 0.4% in the SA economy in 2018. With inflation averaging 4.6% for 2018, the average employee's increase was above the price level changes as measured by the inflation basket, according to Shergeran Naidoo, head: stakeholder engagements at BankservAfrica. A total increase of 1% after tax and pension in take-home pay over five years indicates that, in essence, salaries were adjusted just for inflation on average, according to Mike Schüssler, chief economist at Economists.co.za. In December 2018 the average banked real-take home pay was R14 094, showing a 0.5% year-on-year (y/y) change and a slight improvement from November, according to Naidoo. The nominal value was R15 045 or a 5.5% change y/y. The average real take-home pay for the whole of 2018 was R13 990 per month for the person receiving their salary via a bank account. Before inflation, the average was R15 018 per month. "The worst year for real take-home pay was 2016, where there was a 1.1% decline in take-home pay after inflation, while all the other years showed an increase of which 2018 was the smallest," said Naidoo. According to Schüssler, the weak economy is not helping South Africans get salary increases, although the average increase for 2018 was just above inflation. Some salary increases were above 7%, which, after tax and inflation, would have resulted in an estimated 1.8% increase in real after-inflation terms. "Many private sector firms remain under pressure, resulting in less-than-inflation increases. Many employees are struggling to maintain their standard of living," said Schüssler. He added that take-home pay did at least result in higher retail sales, as retail inflation was just about half the headline inflation rate for 2018.